With the advent of digital, online and social marketing, the face of business has drastically changed over the years. Digital marketing is a complex and wide world where businesses employ numerous strategies and channels that can be operated to attract the right audience and generate leads to convert the potentials to sales and make a name and reputation of the brand. The impact of internet is such that today marketers have choices to choose from various platforms to advertise and promote their products and services. Now, running a successful marketing entails profound research, well-thought and clear plan of execution, creating a distribution and outreach plan, setting the goals and monitoring the KPIs. Statistics suggest that 48 per cent of businesses don’t have an explicit digital marketing strategy and 12 per cent have the specific strategy but doesn’t have a plan to execute it. So how can they expect to grow their business and get the desired results? Here, we have selected some factors or key points that you or your digital marketer must abide by while running a campaign to create an impact and obtain meaningful results. Before you go ahead with anything else, you must identify your goals. Figuring out what you want to achieve will increase the chances of success and will set you right on the path. Make sure that your marketing goals are clear and defined, they should be measurable so that you can identify when you reach them. Your goals must be relevant to your overall marketing strategy and must be attainable within a time period. While running any campaign, it is imperative to identify your customer base. It is important to have an understanding who your target audience is based on demographics and psycho-graphics. Ask yourself time and again, whom do you want to reach out?, what their interests are? Which channel do they prefer to communicate? 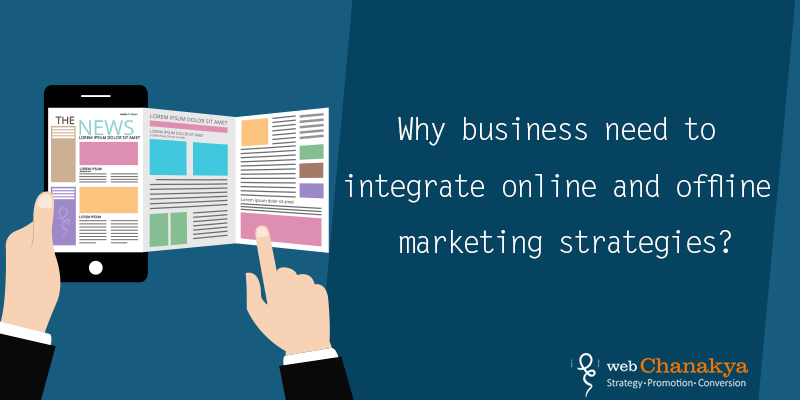 These questions will definitely help you obtain an integrated digital marketing strategy. You can also take reference of past consumers, which channel they preferred and what products did they purchase the most or from which medium they found you, these questions will be vital for deciding which platform to use. Brands suggest that they plan the offers way ahead in their strategy on the basis of time when they want to run their campaign. So the timing of the campaign makes all the difference and it can benefit your business depending on your target audience and the services you offer them. Make sure that the time frame of your campaign is realistic, take some time before you make any changes in the duration of your campaign, and don’t just run the campaign without informing about the last minute changes. It will come into notice of comparably small audience and will defy the goal of running a successful campaign. Hence, you must do research for the average lead time for your target audience. If your campaign is for a shorter period of time then you must blurt out all your weapons on all possible channels. However, it is no where written what is the best time or day of time to run campaign, though Monday is the preferred day is the preferred day, but it also depends on your goals. So choose wisely when it’s about the time. By now, you must be clear want you want to sell, who is your target audience, and what is the right time to sell your product. The next step is to find out how do you want to sell it. You must make a note of the features that you promise to offer with your product. At this very point you require to get in to the communication with the prospects. Remember, you need to be quick in convincing the potentials as they lose the interest in no time. 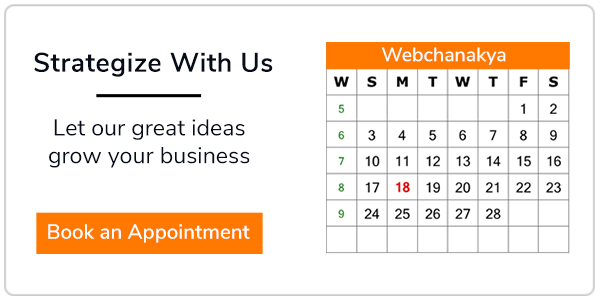 The headline or the call-to-action must be the USP of your product or service. The content should be such that it grabs the attention of the visitor instantly. Effective content will benefit you to engage him further for a little longer time period. So, it is essential to create relative and consistent content that can easily be tailored to different media or channels depending on the audience. Make sure whatever content you create- blog, case studies, videos, ebook, or newsletter, should be able to adapt to other as well. For example, if you have an ebook and video on the same subject then you must attach the video to the ebook. This helps to circulate more data in one go. It is estimated that 75 per cent of the campaign success depends on its promotion. There are lots of cost efficient ways of promoting a campaign and getting the desired results. Make the most of social media channels for advertising the campaign effortlessly. 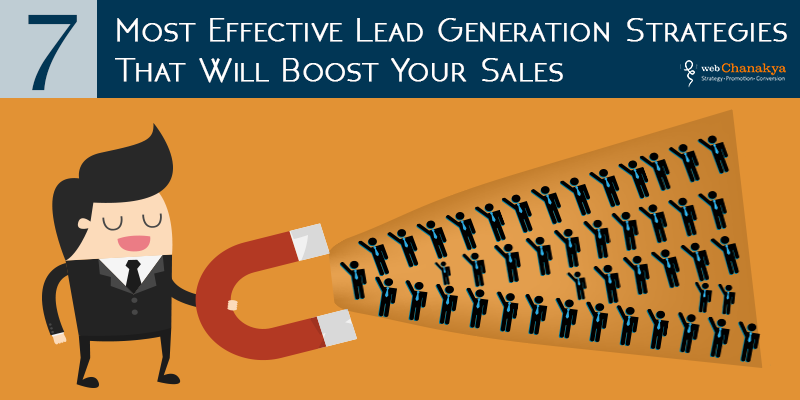 Though to attract the potential, you should bait them with incentives like offers and rewards. Share as much as you can to reach out to maximum people. Broaden your reach by promoting the campaign through cross networking, what if your target audience is spread all over Facebook, it is wise that you can share their comments or conversation on twitter, instagram or Google+, this would help you to reach out to their connections over these channels as well. You might have a definite medium in your mind while making a strategy, where you want to promote your products or services. It is advisable that you focus to get into a medium rather than trying to sell out your products to the masses without knowing their interests and preferences. Always remember, you won’t reach to the new prospects if you keep advertising with the same medium on the same media channel every time. You have to bring in variation by engaging the target on the different channels as well. First, narrow down your promotions depending on the media to reach out to your customers. Then come out with tactics to woe the prospects. For example, if yours is an e-commerce business then you are likely to opt for instagram for promoting your products and on pinterest as well. If you want to broaden your reach then you will also advertise the products on facebook as well. As your business will grow, you will figure out which medium is best and cost-effective for you and it would become easy or you to draw the consumers. Don’t forget that each medium caters to different audiences and serves different purposes. This is where A/B testing comes in the picture that determines which medium suits best for your business. Other than social networks, email is also an effective medium to use for campaigns. It is suggested that people tend to spend more on the products of which they have received an email. After choosing the mediums that are most appropriate for your campaign, the next thing you ought to do is to get a clear understanding of different metrics that you must measure and monitor to run the campaign successfully. These metrics help you identify what works in your favour and what doesn’t for your niche in particular. This focuses on the taking the best use of resources and analyzes the aspects of your campaign. Conversion rates – it is suggested that the number of visitors coming to your site that gets converted into leads must be between 2% and 4%. If you receive smaller numbers than these, then it certain that there is something wrong with your campaign. Sale Conversion rate: It is similar to the conversion rate, though it assesses the percentage of visitors who ultimately make a purchase from your website. Visitors analytics: These metrics tell the information regarding a particular visitor, like where he came from or what are his interests. These metrics gauge the visits depending on the numbers and area of reach. Revenue per keyword: Eventually, the amount of leads and the revenue generated by a particular keyword is analyzed with this metric. This helps you to assemble what keywords work best for your business and provide better results. Before running a campaign, you must make a fundamental budget, once you identity the cost you can plan where this capital can be spent and you can also decide the scale of the campaign. If you have a set budget, then it is a thumb rule to invest 5% of the latent revenue, but you must consider the factors influencing this. You should always have a contingency plan for anything amiss in the campaign. In case campaign performs exceptionally over your goals, so do you have that surplus amount to invest to keep the momentum in which your campaign is going? It is recommended that you propose to drive to revenue at a lower cost per acquisition, this helps in optimizing and analyzing the campaign performance. The final thing that the business owners should understand is how to monitor the success of their campaign through digital marketing. The value of the campaign would be considered when it will convert the leads in sales and accomplish revenue for your business. It depends on the business owner how he decides on what constitutes success for the campaign he is running, which can be listed depending on the increase in overall sales, higher ranking on the search engines, gaining substantial amount of followers on all social media networks, generating leads and prospects and getting brand exposure and recognition. When everything is said and done, the bottom line is that digital marketing facilitates the businesses to reach out their potentials. The advice to every business owner is that they should have a holistic approach to their digital marketing campaigns. 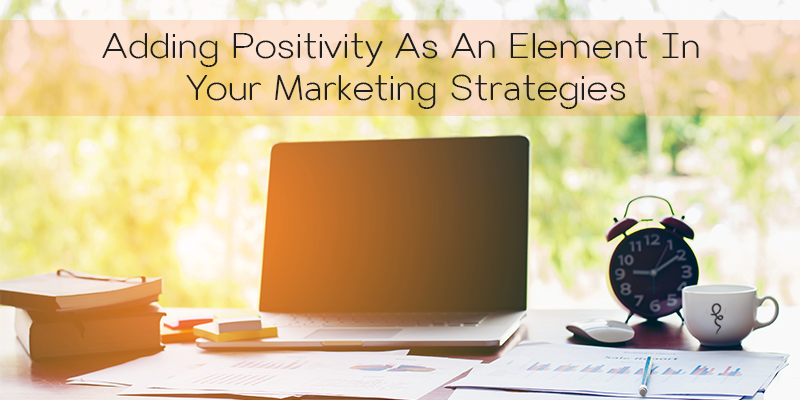 While incorporating these factors in your strategy is a great start to run a marketing campaign, though there are many more considerations that need to be discussed separately. All digital marketing campaigns revolve around one fact that is to engage your prospects and drive sales. The idea behind is to take a look at the bigger picture of getting more customers and making a name for the business. 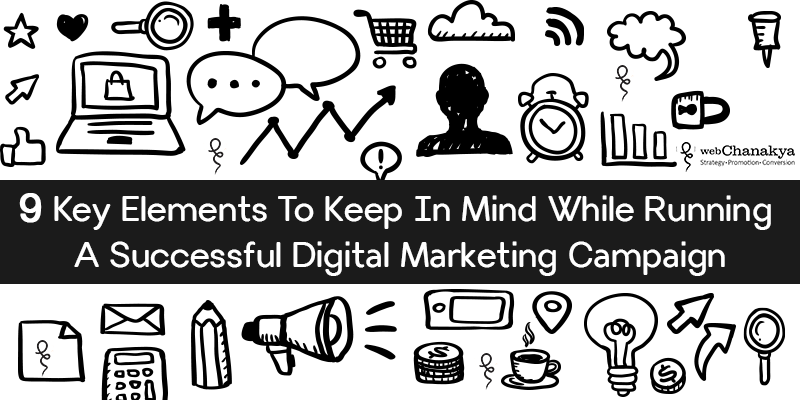 A successful digital marketing campaign is definitely within the reach of any business, no matter who your audience is or what is your goal or budget. By keeping the above nine elements in your mind you can run a cost effective campaign with a considerable revenues.